Location, location, location! 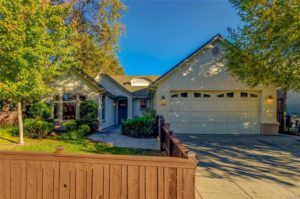 Steps away from the beautiful Bidwell Park, this Shastan built home is light, bright and ready for you to move in! Boasting 4 bedrooms, 2 bathrooms and an open floor plan with new carpet and fresh interior paint. This home offers a gorgeous kitchen with granite counters and backsplash, stainless steel appliances and rich maple cabinets. Not to be missed are the trey ceilings, 8′ doors, transom windows and gas fireplace. You will love the high end touches. The tastefully fenced front yard is the perfect space for play or pets, while you enjoy chatting with the neighbors. The backyard offers privacy and a beautiful patio, perfect for entertaining. Close to shopping, schools, transit and more. Don’t miss the opportunity to live in this highly sought after neighborhood for only $385,000!